Pay Dye Field will get it’s grass back today. 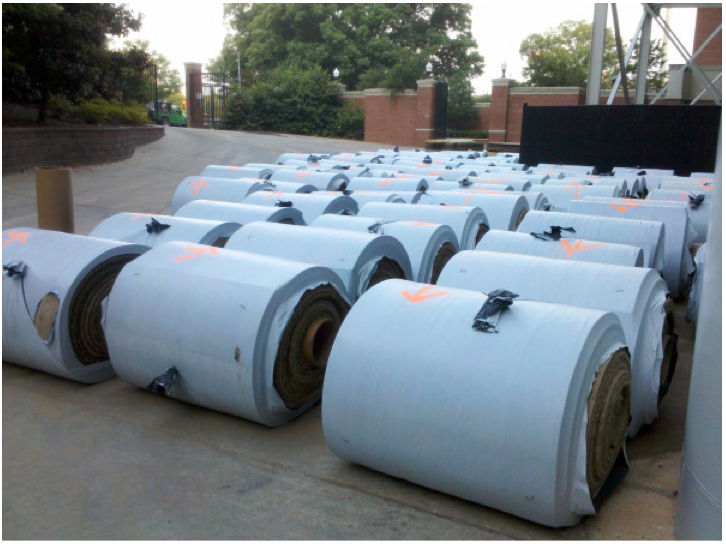 Turf sod rolls weighing 1,800 pounds each and covering 160 square feet are currently being unloaded outside Jordan-Hare Stadium and will begin being laid this afternoon. The sod was produced by Bent Oak Farms, located in Foley. Eric Kleypas, Auburn’s manager of Turf and Landscape Services, said the installation will take approximately 24 hours. 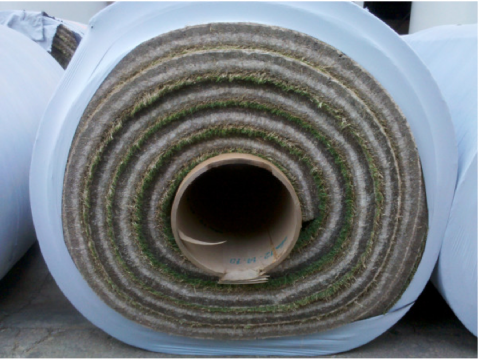 The Holy Turf covers 160 square feet, at least by our extrememly suspect calculations. The field’s old sod was removed two weeks ago in order to clear away nearly a decade’s worth of drainage-impeding (not that you could tell) organic matter that had accumulated since it was laid in 2003. As a result, Pat Dye Field will be four inches lower than it was last year. * Happy Gene Chizik Day! Does this mean my seat just got worse? Ahhh. It’s glorious to see a John Deere tractor at work inside JHS. Cow College and proud of it!